Item is New, never used, cost-effective wide-frequency bandwidth amplifier. 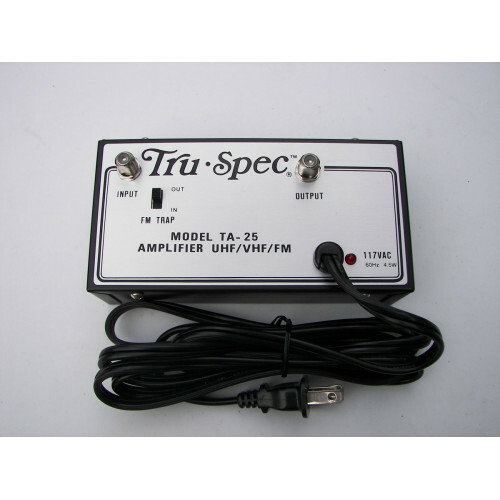 A TV antenna amplifier can help you strengthen your signal. A stronger signal can soon be yours. Get this coax signal booster to complete your antenna assembly. This is to increase antenna signal and get better HDTV reception. 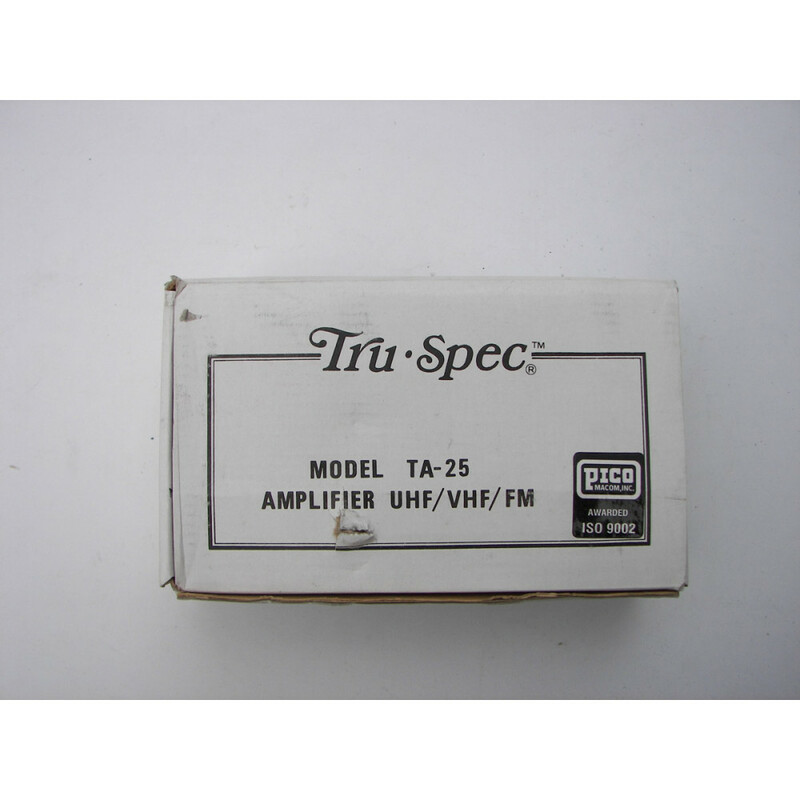 This high quality, wide-frequency 25dB amplifier is perfect for small to large MATV- SMATV systems. It will help clear up snow and shadows caused by weak reception. It is easy to install anywhere between your antenna and the television and it features a 7dB output that provides low distortion. Item comes with the AC power supply and heavy duty shielded wall mount case. This will not work in a mountain forest with a week or no signal antenna temporarily setup on a motor-home roof. The item may be shipped without the original box, please contact us if you would prefer it to be shipped in the original box.